Tuesday can be a wild card weekday. In business, it is generally known as the slowest day of sales; in art and performance, it can be the perfect night to capture an audience overwhelmed by weekend hysteria. The First Niagara Rochester Fringe Festival didn’t lose a beat last night. Both events had BIG turn outs, one of which sold out. FRINGE: even midweek isn’t safe anymore. The University of Rochester Diversity of Dance kicked off its one and only show last night at RAPA, featuring over eight diverse performances by UR groups and clubs. I saw a little bit of everything: music-less compositions, breakdancing, bellydancing, improv—even UR a cappella group After Hours came by and threw in a few heart pumping songs. These ladies (pictured below) set the bar high for all who followed. 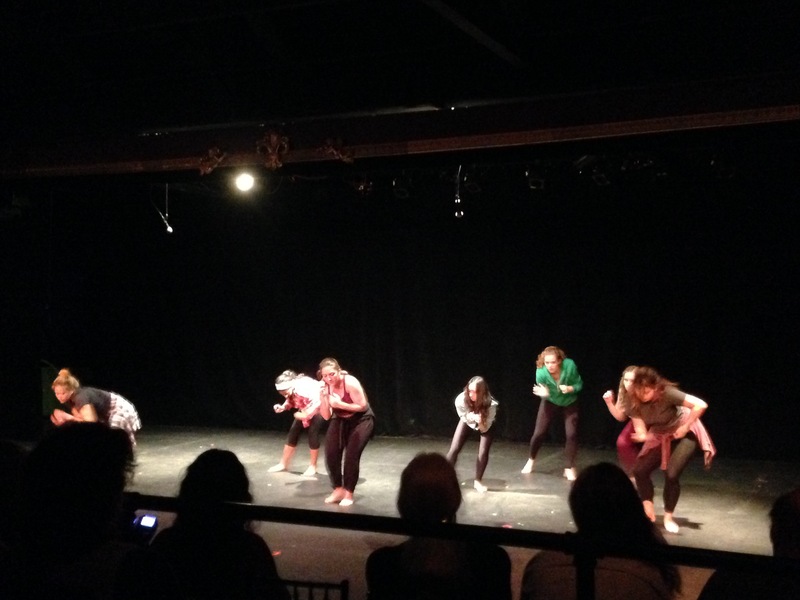 Listed as Dance Performance Workshop (which I think is a class at UR), the ensemble merged and adapted styles, dancing to a sound score that was super interesting: a speech by motivational speaker Eric Thomas. UR Stylez is freestyle breakdancing club, and last night they brought the proverbial house down. A blend of “freestyle, freezes, power moves, rocks, and footwork into one unique thing,” the UR Stylez guys (and gal) hit the ground and didn’t look to stop. 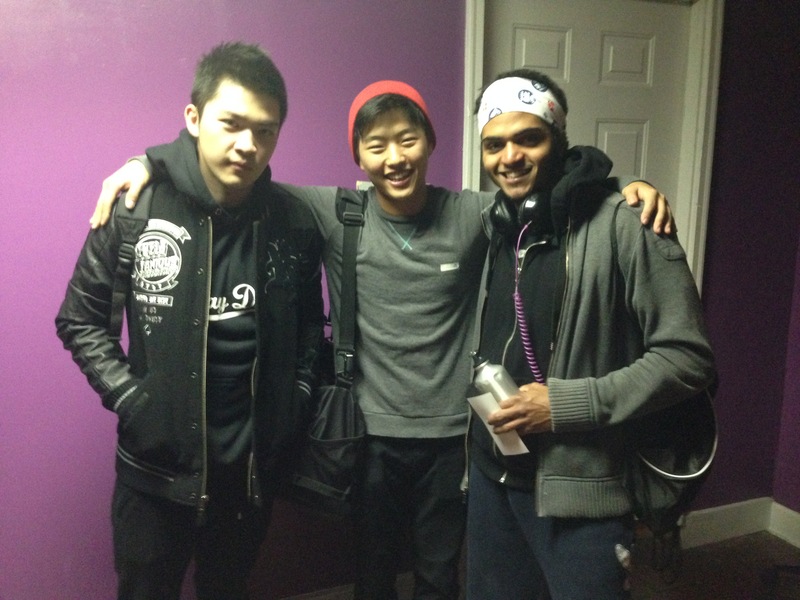 I caught up with UR Stylez b-boys Noah Woolfolk, Minsoo Kim, and TinChan Lao after the show. “We could’ve gone all night if they let us.” Be on the lookout for UR Stylez around the University of Rochester for some October performances. 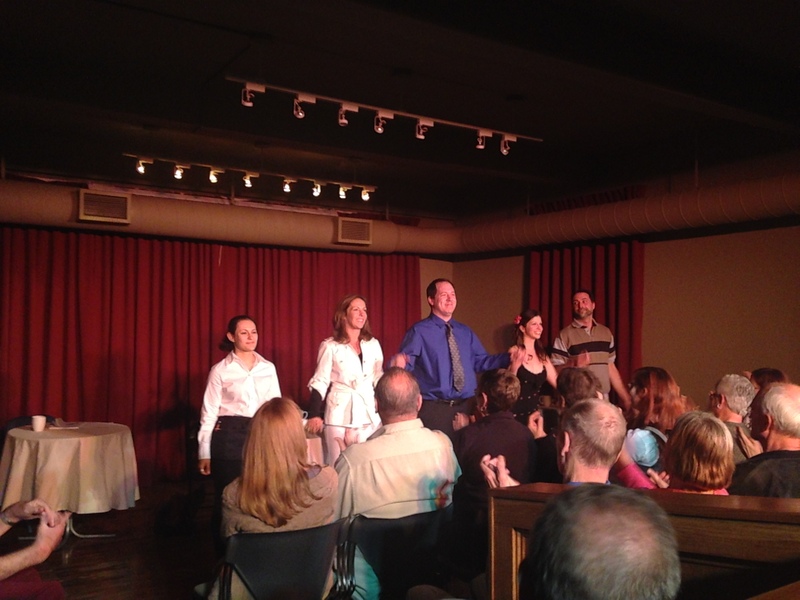 The last of three performances of “Coffee with God” at Writers and Books SOLD OUT. Directed by Diane Mashia, President and Artistic Director of Black Sheep Theatre Coalition, and written by New Jersey based playwright Kal Wagenheim, this play reveals the age old question: does God drink coffee? Actually, no. Rather, it asks what would happen if God bumped into a man at a cafe and struck up a friendly conversation. This local, gifted cast poured right into the script and pulled the audience in with it. Stephanie Sheak makes a charming, laptop-packing God. She is comfortable and not in a hurry. Funny and heartfelt. The other lead, Stephen Cena, plays an amiable man who stopped looking for answers, but who still deeply desires them. Though God is an absorbing character, Cena holds his own and draws our interest into his story. He is an actor who is all in, and I can’t wait to see what Cena does next. Tom Bigongiari and Kate Soher steal the show. Their smaller roles inject a high level of surreality, depth, and emotion, evening out the performance in a big way, and delivering some of the most memorable moments. Bigongiari, as the man’s father, almost runs away with the performance entirely, but Diane Mashia, like a theatre seamstress, manages to somehow keep an effective balance, weaving a tight, well kept story. Certainly the source material leaves something to be desired. The writing is good, of course, and some lines do pack a memorable punch: “Moses was a good man but he had a tendency to ramble.” But overall, the jokes can be repetitious and predictable (God drinks coffee? … God uses a laptop?). That said, go see it. Diane Mashia’s direction and the local cast make “Coffee with God” one of the best One-Acts you’ll see in Rochester this year. Catch it again as part of the Black Sheep “Infinite Scope” series in October. 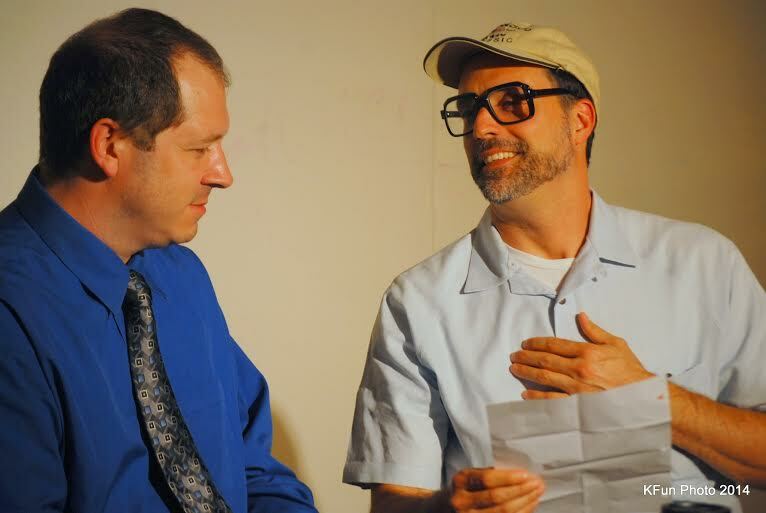 The First Niagara Rochester Fringe Festival continues! Don’t forget to check out the other (585) Magazine bloggers. So wait, does God drink coffee or not? And if so, what brand? This, more than the question of human suffering is the great theodicy of our age.